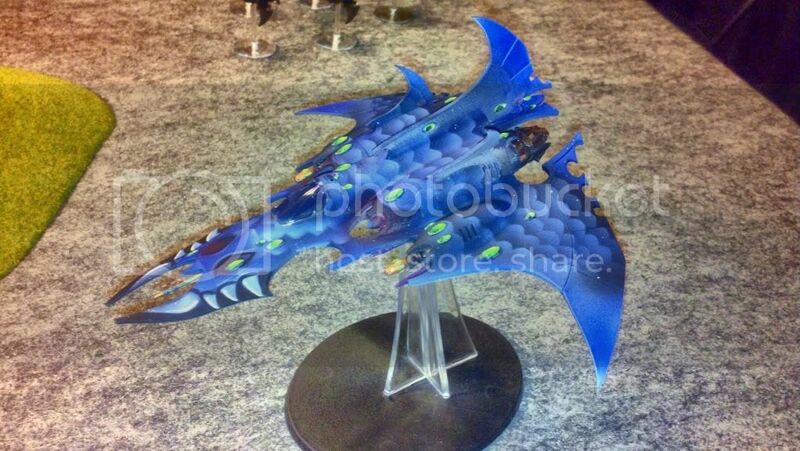 Guys, I am about to make my next purchase of models for the escalation league. I have looked down the forum for armylists and I don't see Razorwings in posted army lists. Are they not good? Is the Ravager just that much better than the Jetfighter? Any insight is appreciated. The Jetfighters are a bit cheaper which is shocking! I typically do 2 ravagers, FF, NS and stock lances, and one razorwing, FF, NS, SC, and Dizzies. Razorwing are very good- but also very fragile. I have had them killed so many times by bolters. Just basic, run of the mill bolters. It also kind of depends on what your opponents look like, and what the rest of your list is. Unless you need something to counter fliers, I'd go with the ravager. If you do need anti-air, stick with the twin DL on the razorwing then. For pure anti armor, I'd even say the void would be a good choice. Thank you for your reply. I will be sure to get one regardless. I don't play against fliers very often but I just joined a new gaming group so it could happen more often. SO, is the DE board always this slow and lacking of responses and support from other players!?? Didn't used to be - but I think so.... Not sure as I'm not on as much either lately. Dark elder have been out for awhile ago there isn't much left to discuss. I feel like the ravager is more survivable than a razorwing. I have one and I use it to hunt other fliers along with an aegis defense line and quad gun. Put night shields on your razorwing so it doesn't die as easily to rapid die bolters. 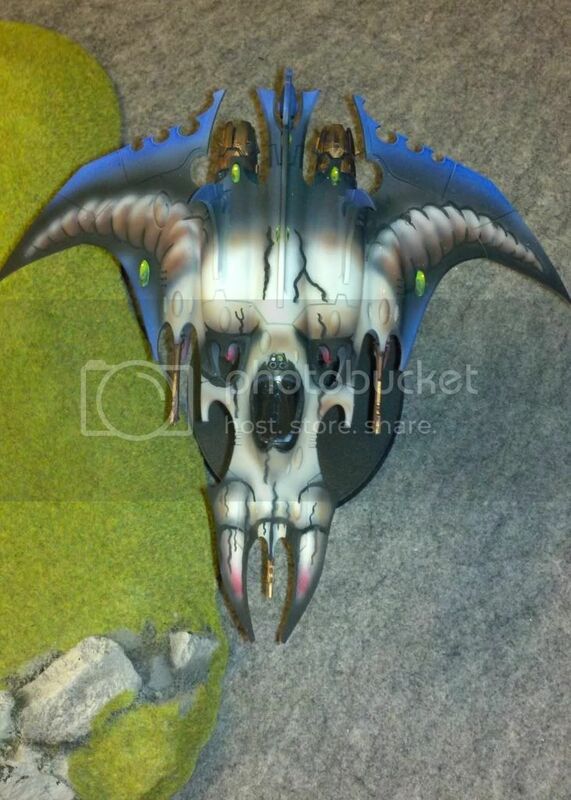 I am still hoping they come out with a void raven bomber. The higher strength of their weapons makes them a better flier hunter. This exactly. I run mine without the NS; but I strongly agree with all other points. Unfortunately a ravager does the same for 50pts less. The strengths in this guy are the missiles and the rule of cool. I guess he's 'technically' durable because of the sky fire/snapshoot rules, but once there's some AA he's toast. Those missiles though; the free ones cost me ~50 guardsmen in two turns last week. Flew right over the aegis and fragged a platoon a turn. 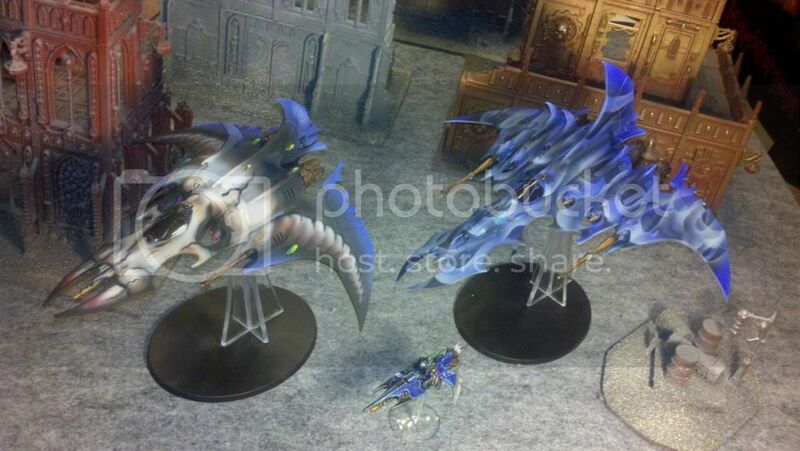 There's an argument to bring lances, for anti flyer --and maybe when these rumoured sidebars come out in 7th they'll see a rise (especially magnetized for either weapon)-- but as it stands if you're looking for air power your better off allying in elder for the god-powered crimson hunter, or the night wing (given the new attitude towards IA). Truth be told, my roommate converted his Razorwing into a very convincing night wing with a just knife and a weapon swap. Now this is a good topic. love my razorwings and my void raven. My belief is that a razorwing should be fast attack choice and void raven should be a heavy. I understand GW's reason for leaving them in heavy because we could take 6 flyers but they could cap it. Unfortunetly since 6th came out, I have put my DE on the side because the rules really screwed my style of play, they may not have ruined the entire army as far as competitiveness but hurt my play style. The band aid they provided as battle brothers with Eldar just didn't fix that for me. To my fault, I'm a purist and don't mix my armies. Now that being said, when I do, occasionally, try to field my DE, I always take at least one razorwing. I take the DL's for anti-flyer because most players I face take one or more flyers and the CSM always take at least one fire turkey. I agree with the others that ravagers seem to hold better as long as you don't have to worry about getting ripped apart in the movement phase. Most other armies flyers you'll have a good chance against with ours. But always remember that it's a game and as long as fun is had, that's what matters the most. Here is why I love fielding at least one of mine. Bad Behavior has blocked 12379 access attempts in the last 7 days.